Beauty goes to the Beast's castle in order to save her father's life and help her family. The Beast is kind to her, but when he asks her to marry him, she can't bring herself to say yes. Then Beauty returns home and dreams that the Beast is dying. Can she save him? With fun activ... read full description below. One of the best-loved fairy tales. 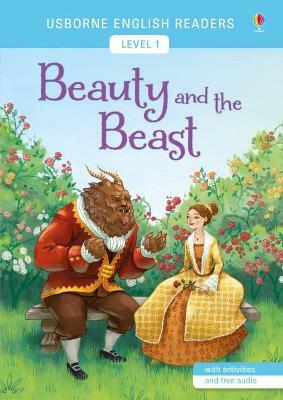 Beauty goes to the Beast's castle in order to save her father's life and help her family. The Beast is kind to her, but when he asks her to marry him, she can't bring herself to say yes. Then Beauty returns home and dreams that the Beast is dying. Can she save him? The Usborne English Readers series is a new range of graded readers in simplified English for younger learners. They include activities, glossaries and a full audio recording of the text in both British English and American English.